AUGUST the Month of the Immaculate Heart of Mary? The Happy Saints Mother Mary eBook is a great resource for your children, family, students, parishioners and friends to learn about the Blessed Mother. 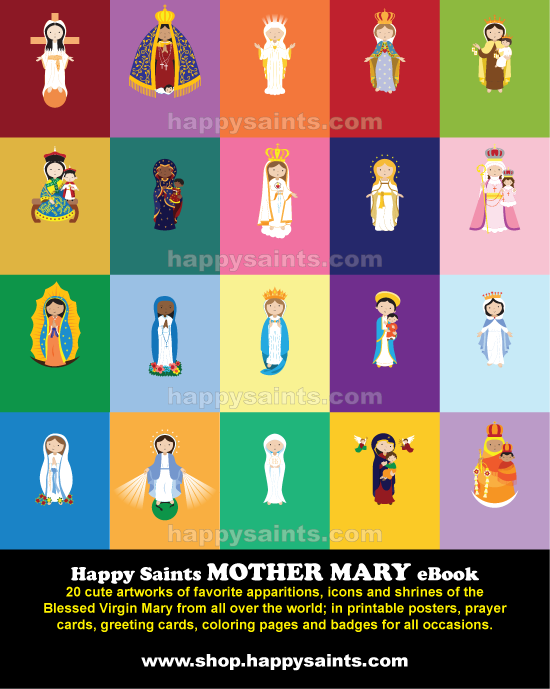 Featuring 20 cute artworks of favorite apparitions, icons and shrines of the Blessed Virgin Mary from all over the world; in printable posters, prayer cards, greeting cards, coloring pages and badges for all occasions.